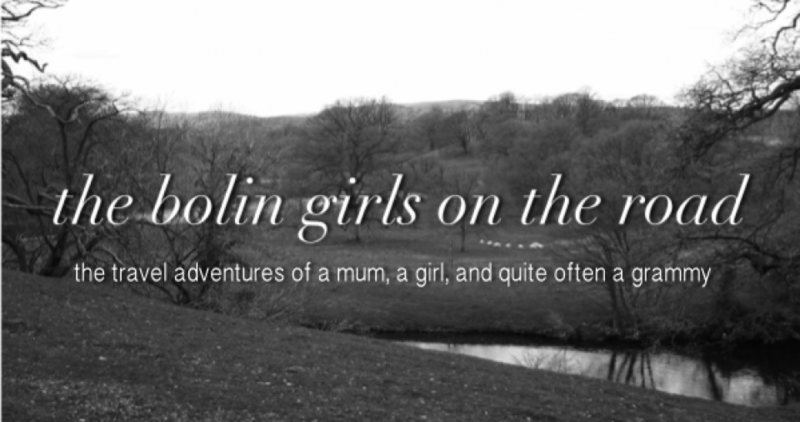 So, sometimes, my mum gets to go travelling on her own and us Bolin girls get left behind. It’s a bummer, but then she ought to be able to get away from us from time-to-time. Flying into Charlottetown on a clear day you can see Prince Edward Island (PEI) afloat in the Gulf of St. Lawrence, flanked by New Brunswick and Nova Scotia. It is a breathtakingly beautiful perspective with sparkling water giving way to a patchwork of farmland fields punctuated by tall evergreens. Hailing a cab at the airport, I met my first PEI ambassador–the cab driver. It took me awhile to realize that his accent was French Acadian. By the end of my short ride to the hotel I knew that PEI was reliant on agriculture and tourism, that it was a beautiful place to live, and that jobs were a problem contributing to an aging population, because young people are leaving to find work. And I learned that he couldn’t imagine living anywhere else. All that in less than fifteen minutes! By the end of my visit to the Island, I knew that the Maritimes were once part of Acadia, a colony of New France settled by the French in the late 17th and early 18th century. They lived there until the British took over in 1710, refusing to sign an oath of loyalty to the crown. Then the dark period—dramatically and fictionally portrayed by Longfellow in his poem Evangeline –when they were deported to France in an unforgiving Atlantic winter where nearly a third of them died in route to France. Others made their way to Louisiana and Cajun culture emerged. Later the Acadian population returned, contributing to the rich island culture. But I digress and I’m not even to the hotel. I met my friend Mary at our hotel on Pownal Street where we had a day to explore on our own before our group arrived. After I checked in, we wandered down Queen Street, to Victoria Row, pausing at the Anne of Green Gables Store promising ourselves to look in later. All along Victoria Row’s cobblestone street there are little restaurants with outdoor seating, shops and galleries. Along one side of the street a band played. Outdoor entertainment was to be found all over the city. (A great resource for finding free activities is http://www.discovercharlottetown.com/en/see-do/Free.php). After carefully reading menus along Victoria Row to see who offered the gluten free options Mary requires, we made a disappointing choice. They were apologetically out of everything gluten free. We found another spot where she enjoyed the scallops. Almost everywhere, restaurants were able to accommodate. The scallops were just the introduction to PEI’s seafood banquet, too. I had to stick with fish choices, but with fresh haddock and cod on offer, I did not feel deprived. We decided to spend the day before our group arrived wandering along the board walk that extends along Victoria Park . Walking down Kent Street toward the harbor, we paused at Beaconsfield House one of the sites we were scheduled to visit later. I was about to take a picture when a woman called, “Come over here, you’ll get a much better view of the house.” Just back from a morning walk, she led us into the front garden where I took pictures and she told us a bit about the house. She lived a few doors away. Like most people we met, she made it her personal business to see that we felt welcome to PEI—another ambassador. We congratulated ourselves all along the way for having the good sense to decide on walking the boardwalk. It was a glorious morning. Beautiful planters line the boardwalk. Sailboats dotted the bay. We stopped at an ice cream stand to get water and the proprietor told us it was their last day of the season. Another ambassador for PEI, she told us about the tourist business and how they would be preparing their stand for the new season during the coming month. You can find her store on Facebook. In retrospect, we should have had an ice cream on the return! Maybe next season? We walked all the way to the white lighthouse with red trim at Blockhouse Point where the boardwalk ends. All but one of the lighthouses remaining on the Island are built in the same square design, white with red trim. If you are a lighthouse fan, there’s a website that will give you a picture of the remaining lighthouses. I reckon one could organize a whole trip around seeing all the lighthouses. By the time our group arrived and our tour officially began, we were feeling well introduced to the Charlottetown. It got better. We were booked with Road Scholar (formerly known as Elder Hostel—I kind of liked the old name). The idea for this non-profit organization was to provide university-level learning opportunities for adults—senior adults to be specific. The website gives their history. This isn’t a commercial for Road Scholar, but one account of an experience guided by them. One of the things I enjoyed about our tour was the other folk. I’ve always dreaded going anywhere with a large group, maybe from days with the high school band and feeling grumpy about having to do this or that or hearing other people complain about the things I liked. But this was a wonderful, congenial group of folk. We might not all be best friends if we lived in the same end of town, and we won’t be planning our vacations together, but we’d probably all be glad to run into each other again. I felt like we’d won the tour guide lottery when I met Susan Dalziel, our host on the island. A former schoolteacher and coach, the program noted that she is passionate about women’s hockey. Inducted into the PEI Sports Hall of Fame in 2001 for her contribution to women’s hockey nationally, Susan couldn’t go anywhere without running into three people she knew or who knew people she knew. She said it was the Island, but I think it was Susan. She walked with our group of twenty to our first evening meal together, treating us to interesting bits of information and stories along the way—something she did all week. We were able to leave at the end of the week with an insider’s view of PEI, it’s places, people, struggles, and hopes. For some of us, that included a new appreciation for hockey.